“Look out, vampires—here come the Nephilim. The popularity of different genres tend to rise and fall in waves, and few have ridden a higher crest recently than vampires. That may change with D.M. 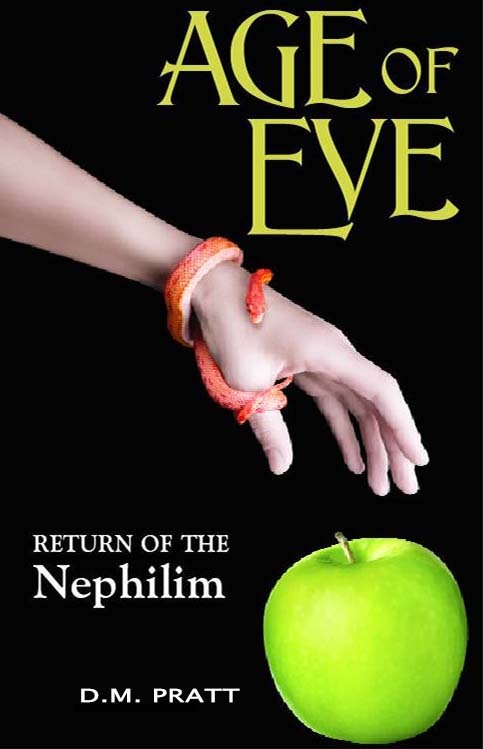 Pratt’s “Age of Eve,” which introduces an ancient supernatural being that is probably new to most readers. You don’t have to know the backstory to Nephilim to be drawn into this page-turner. All you need to know is that they are mentioned a couple of times in the Bible, and that they pre-date human existence on Earth. What makes Pratt’s novel work, however, is not the Nephilim, but the way she incorporates them into a carefully constructed mystery thriller. As the title suggests, it’s all about Eve, a magazine writer living in modern day New Orleans. She lives an unextraordinary life. She’s unmarried, and her best friend Cora is a “trust fund baby” with lots of free time and money. Eve’s life gets significantly more interesting when she’s assigned to cover a party for her magazine. An unexpected encounter with a handsome stranger turns into what appears to be a one night stand. But that’s just the beginning of a journey that will take her through the world of Cajun voodoo, intriguing family secrets and, of course, Nephilim. Pratt measures each element so the book never leans too heavily on one aspect. In fact, Age of Eve is at its heart a solid mystery. Pratt’s strongest attribute is the use of incredible detail, whether it’s the description of the mansion that plays a central role in the story, or even one of the several romantic scenes. Almost all of the plot twists are a surprise, but none of them feel forced. Instead, they help ratchet up the intensity while keeping you guessing how it could end.